This exquisitely titled book was sent to me by Europa Editions as part of their summer selection for their World Noir series. It’s a classic summer read: France is sleeping in the August heat and the police appear to be on a reduced workload. When a taxi driver fails to return home, despite the pleadings of his wife, the Perpignan police only cursorily investigate the case. However a young Dutch woman disappears and another is found murdered. Suddenly the police, including Inspector Gilles Sebag, have to put all their resources into finding the key to the mystery. Unfortunately I didn’t manage to get to the book over the summer which is a shame as it’s an ideal read for the beach or while relaxing in the garden on a scorching day. However, the plot stood up to a chilly Derbyshire autumn reading and gave me a welcome relief from the Scandinavian fare that has dominated recently. What made the book a delight was how much it appeared to be a direct descendent of Simenon’s Maigret series. It wasn’t just the fact it was a police procedural although many of the elements that make Simenon’s books so enjoyable, in particular the relationship between police colleagues, were there. The book also felt essentially French and it couldn’t really have been set anywhere else. It’s always wonderful to read novels where the plot and the setting is intrinsically linked. 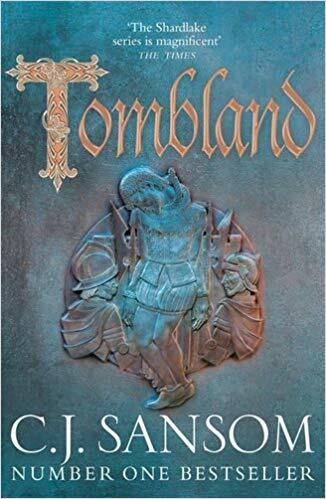 Although I enjoyed the murder investigation, in fact it was the characterisation and background elements of the narrative that really elevated the book. I’d recommend it to all fans of Maigret and readers who want to expand their repertoire of French crime fiction. Thanks to Daniella at Europa Editions for sending me the book. Norman over at Crime Scraps Review has also just reviewed the book and was similarly impressed. The translation was by Steven Rendall. I read some Maigret as a teenager. This sounds like a great summer read. Thanks for a great review. Thanks for the comment, Cleopatra. I’m heading over to your blog now to take a look and adding you to my blogroll. What a wonderful title. I have to catch up on the Maigret series and am really glad about the new editions. It will be interesting to read this alongside. Thanks Alex. I didn’t realise there were new Maigret editions. I have lots and lots of the green penguin ones. I think it’s Penguin who are reissuing them, Sarah. They’re coming out one a month,as far as I know chronologically, starting now. I know Margot – I could smell the French summer in this one. Worth getting for the title alone! It also sounds just my cup of tea. That title certainly is a winner! Maybe I should mark this one up and keep it till next summer, it does sound like the perfect holiday read. Sounds great, I am sure I will read it when I get a chance to. I love Europa Editions. I hadn’t thought about that but you’re right – just like the Nicolas Freeling books. 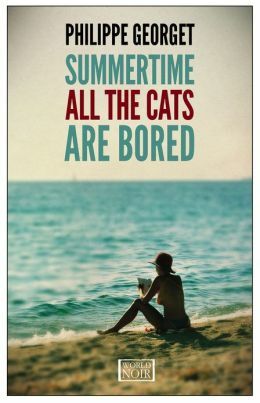 Being a cat lover, and knowing bored cats when I see them, I’d like to read this book. If the library gets it, I’ll take a crack at it. Time to add it to Mount TBR.